The Airport Airplane backpack by LOQI is a water resistant, drawstring style backpack. 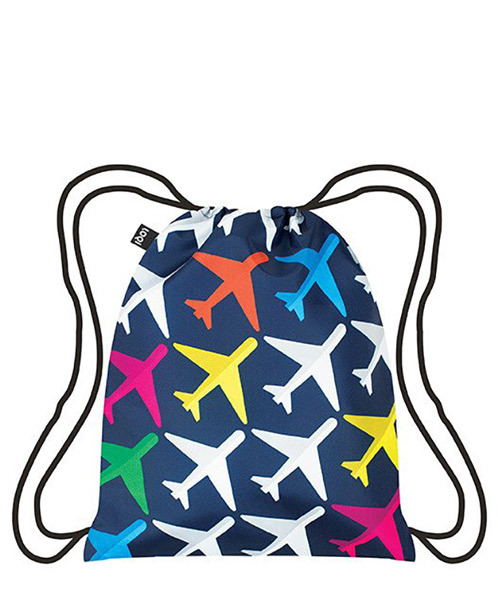 The backpack features a colorful all over print of airplane silhouettes and has a small, side zippered pocket. The bag measures 13.5 x 17" and can hold up to 22lbs.